What Will You Do to be Happy Today, Not Someday? Is the light on in your eyes? I am hosting SOMEDAY Salons across the country to collect real-life stories and insights from people about why they’re postponing what’s meaningful to them, and to inspire them to start honoring their time, health, life and loved ones now, not later. 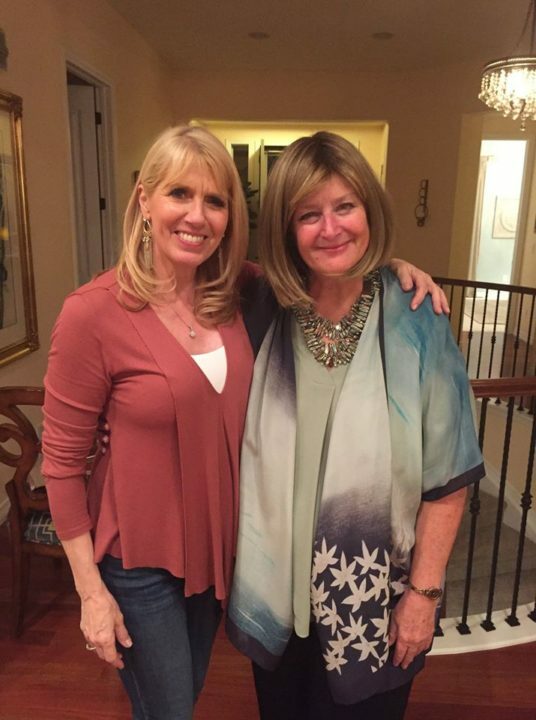 I will always be grateful to long-time friend and Oprah favorite Mary Loverde (author of The Invitation and I used to Have a Handle on Life But It Broke) who hosted the first SOMEDAY salon in her beautiful home in Denver. What a joy it was seeing people dive deep into the Four Minute Happiness Box Quiz and discuss their discoveries about the many important things they’re putting off … for what they think are good reasons. It’s so rewarding to see people talk honestly about how they’ve fallen into a habit of delaying their true priorites, and to see the light go on in their eyes when they realize that procrastinating on what’s important to them is a path to regrets; that the clock is ticking and if they truly appreciate their time, health, life and loved ones, they’ll start honoring them TODAY, not in the far off future. The most meaningful feedback from that first salon is that people are now over-riding their automatic postponement and acting with a Today, not Someday mentality. They have been motivated to call long-time friends they’ve been promising to get together with. They’ve gone outside for a walk at sunset instead of turning on the TV. One picked up and played a guitar that’s been sitting on a shelf for years. Perhaps one of the most meaningful emails I’ve received is from a woman who has always wanted to meet her soul-mate, a man she admired and enjoyed who cherished her. She FOUND HIM! He is everything she’s always wanted and they’re deeply in love. They had a few challenging years where he took care of his adult kids who needed him, and she took care of her parents who had health challenges at the end of their life. But now, she and her soul-mate are FREE. He’s retiring and she has her own business so she calls the shots on her schedule. But her Puritan Work Ethic keeps kicking in. She grew up care-taking a sibling with special needs and has been a single mom/entrepreneur for the past twenty years, so her default is to put others first, to always be responsible to and for them. The irony is, she has everything she wants right here, right now. But, despite her intellectual understanding of that, she keeps reverting to her decades-old, deep-seated belief that work comes first and she has to take care of other priorities before she can relax and do what she wants. But what about having a responsibility to hereself? What about realizing that her dream has come true and she’s not honoring it? She has a man she loves her, wants to take care of her, wants to travel and spend time together. Her kids are adults and can take care of themselves. Her parents have passed. Isn’t it time she put herself first? Isn’t is time she revels in what’s right with her life, right here, right now? Isn’t it time to make her life with her partner her first priority? Have you been taking care of everyone else for so long you no longer even think about taking care of yourself? Do you realize it’s not selfish to do something you want to do … it’s overdue? Do you realize that when you put yourself first, you free up everyone around you to do the same? Do you realize that the clock is ticking and there is no automoatic tomorrow? Do you realize that the best way to appreciate the precious gift of life is to enjoy it while you can instead of promising you’ll do that … someday? 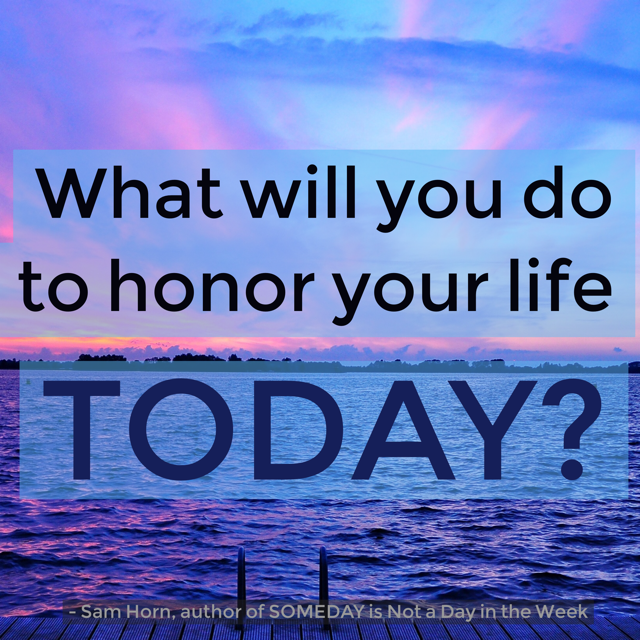 What will you do today to honor your life? What will you do today to honor your health and freedom of movement? What will you do today to be happy today, not someday? 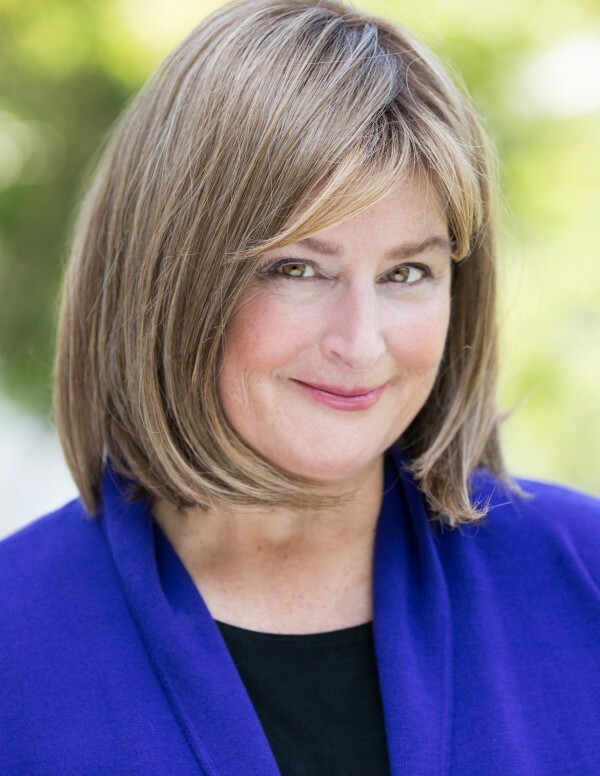 Sam Horn is the Intrigue Expert, a world-renowned Author, Keynote Speaker and communications strategist who has coached the world’s top entrepreneurs and executives. More about Sam. Sam's "Confused People Don't Say Yes" eBook Free! Please send me The Intrigue Agency newsletter!